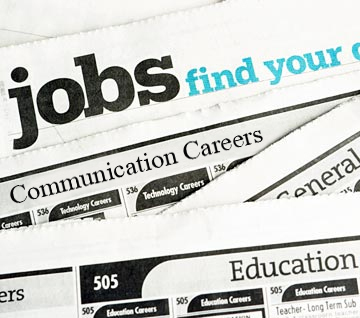 Check Out Ned’s Weekly Job Postings! Many blogs can pretty much be run of the mill, with more of a web obligation than a concerted creative effort. 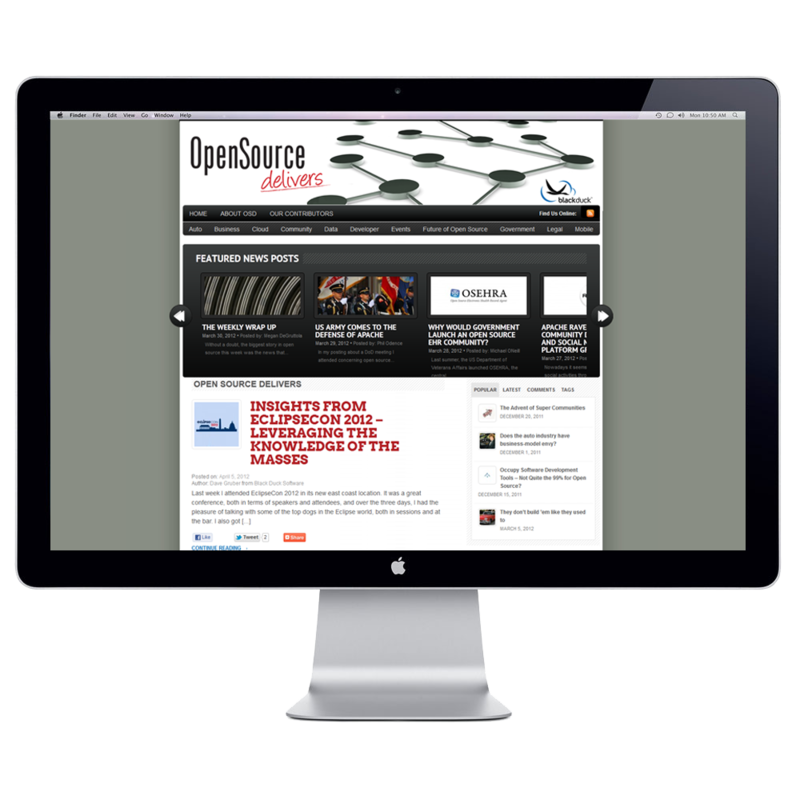 Black Duck Software has crafted a blog that is informative, concisely written, and well designed. The graphics are eye catching without being gimmicky. The site is well laid out and a pleasure to navigate. Though there is an incredible amount of information on the blog, it’s not overpowering. The digital world now makes it convenient to receive entries online, but we still have several thousand that come through the door. Some entries just don’t have the desired effect when they are submitted digitally. When the post office and delivery services make their drops, we have several people who open the packages and process the contents. It is actually a very interesting job. Many of the entries are unusual …. you never know what we are going to get. Some of our favorites have been product labels that just so happened to be attached to unopened bottles of beer, wine and spirits. The other day, our processors were going through the deliveries when I heard a scream, followed quickly by a second person’s scream. As I was running down the hall to see what happened, I had visions of a dead rodent and even a body part in one of the packages. 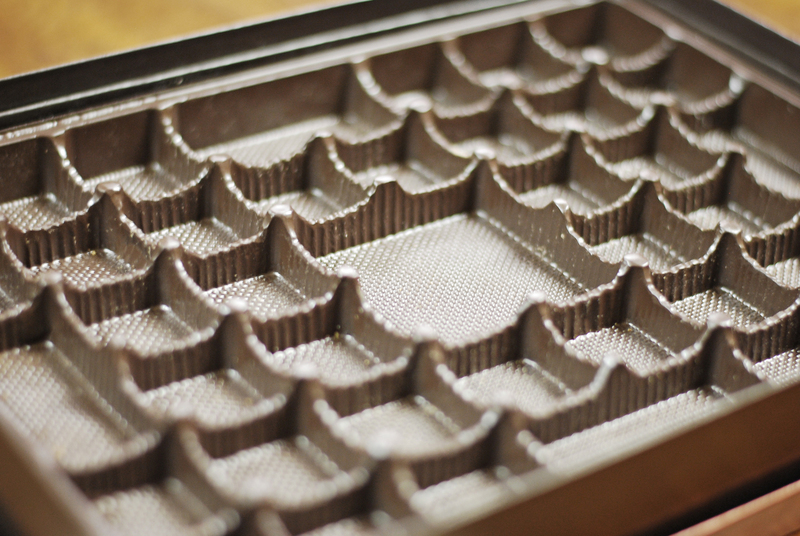 What I found were the two processors gleefully opening a box of chocolates. 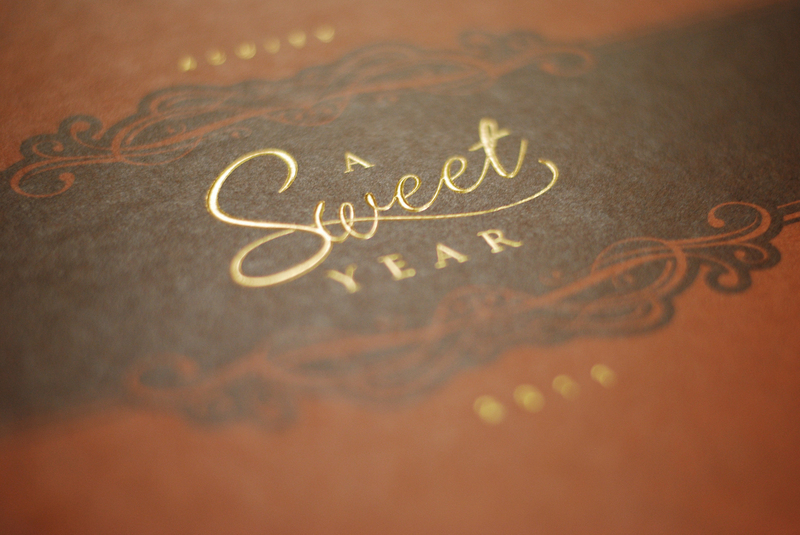 In the box with the chocolate treasures was the Acuity Annual report entitled, “Acuity, A Sweet Year 2011″. 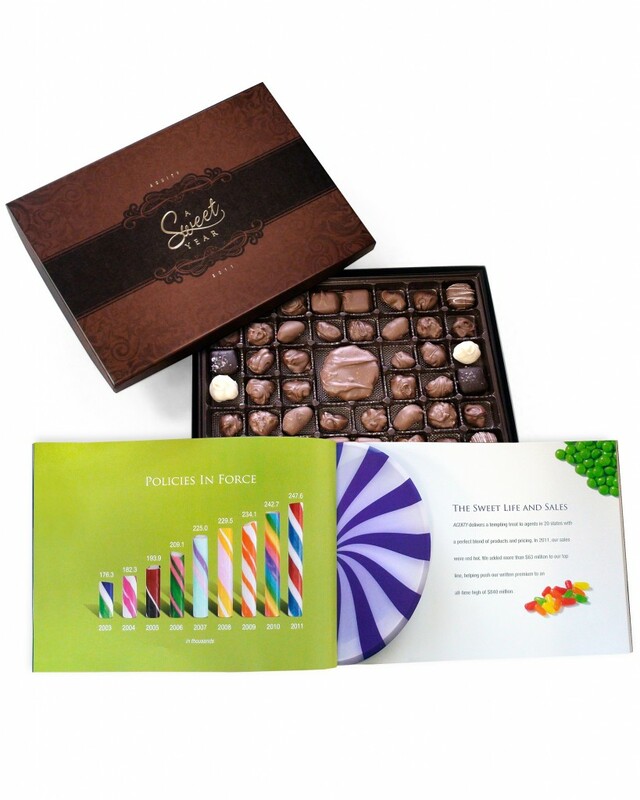 The quality of the annual report matched the quality of the chocolates, or so I am told. 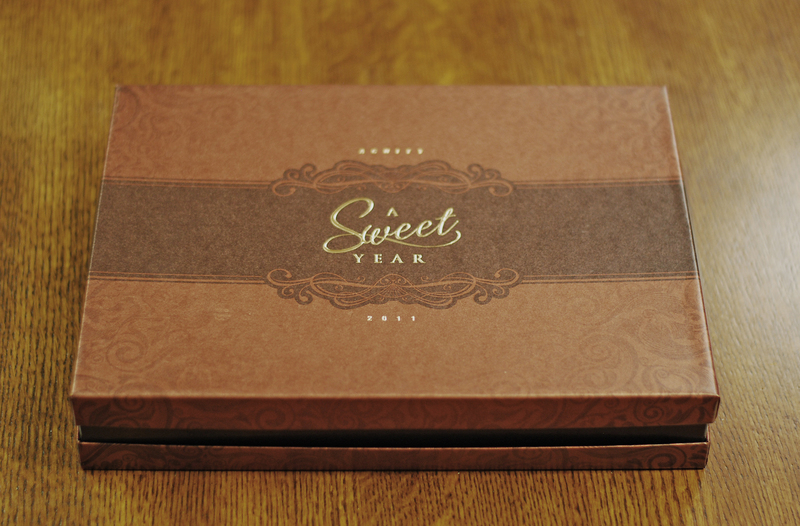 I know the report was well done, but by the time the box made its way to the judges, A Sweet Year was just a Sweet Annual Report. The moral of the story is if you want to attract attention, share a theme with a good box of chocolates. 72andSunny was tasked with the assignment of separating techies from their iphones. Their client, Samsung, wanted a larger piece of the smart phone market. ‘The Next Big Thing” television ad campaign is a clever series of commercials poking fun at the competition and their disciples. The ads are fun as well as insightful and perhaps a little too close for comfort for some. 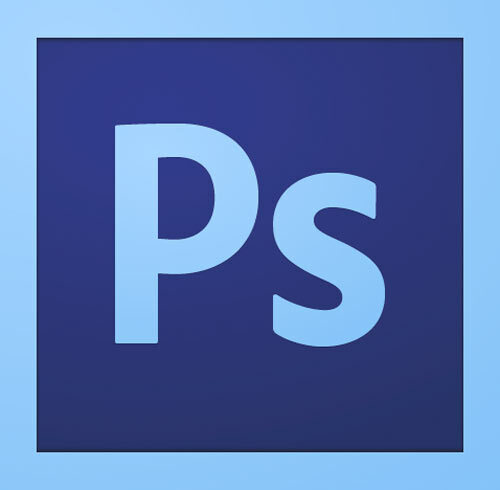 Adobe announced last week it has released Photoshop® CS6 beta for a free, limited time only, download. The new CS6 is packed with all new features, performance enhancements, and a new interface. Watch this video showing off the latest Adobe® Photoshop® CS6 beta features, narrated by Adobe’s Sr. Creative Director Russell Brown. Free download here. Follow this link for the Top 10 New Features. This is one ad campaign that not only catches your attention, but engages your imagination. 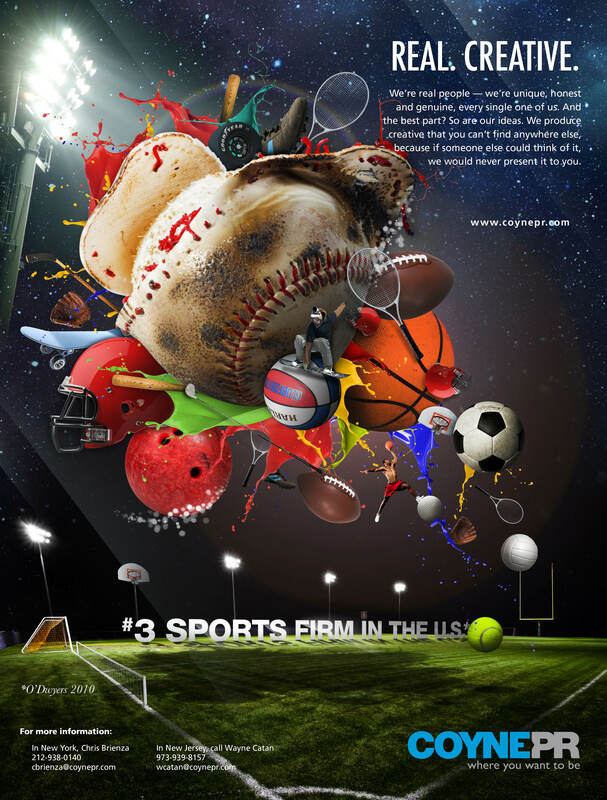 Coyne Public Relations of Parsippany, New Jersey is a large agency with huge clients. 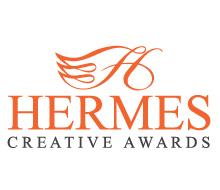 This campaign tackled a very difficult assignment for any firm, promoting itself. Utilizing mesmerizing images and concise writing, the ads give readers a fanciful glimpse of Coyne’s creative capabilities. 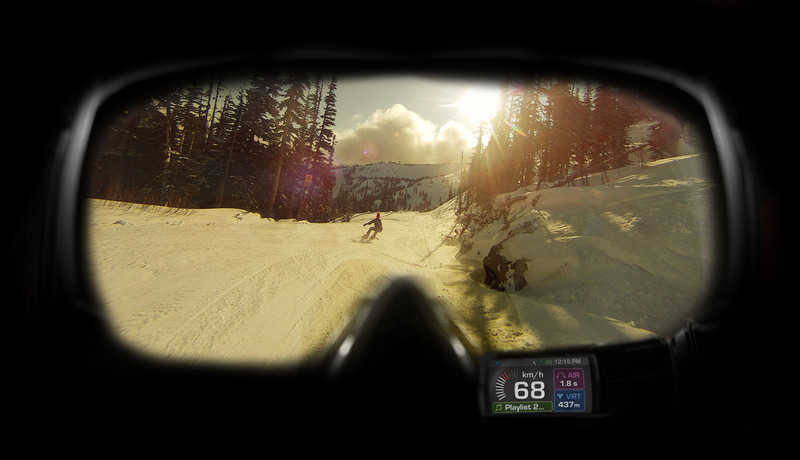 Winter sport enthusiast’s will love Recon Instruments new MOD Live, which look like ordinary goggles until you look through them; then you’ll see they are a whole lot more. The Android technology-based goggles are built for skiing, snowboarding, and snowmobiling to display data including speed, location, distance and temperature – all right in front of the user’s face. Another APP called Buddy Tracking lets you to see where other MOD Live users are on the mountain slopes. Recon also recently launched the Camera Connectivity application for MOD Live with a partnership with Contour. The camera app works with the Contour Plus and ContourGPS hands-free HD cameras, which use the cameras’ built-in Bluetooth to turn the MOD Live’s virtual 14- inch display into a display to show what the camera sees. 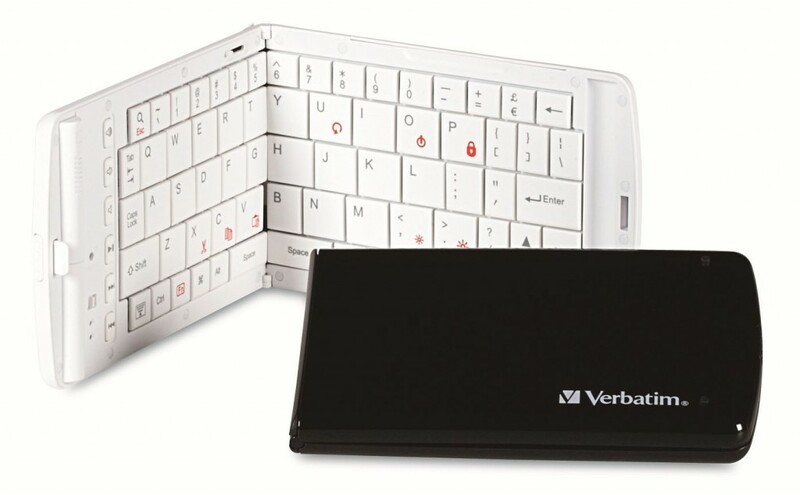 The Verbatim Bluetooth Wireless Mobile Keyboard is one of those simple devices that gets a “wow” or “where did you get that” when seen by others. Simply put it’s just another portable keyboard; but this one is ultra-compact since it folds in half for true portability. Once opened, it’s a foot long but is just 6.5 x 4-inches when closed. 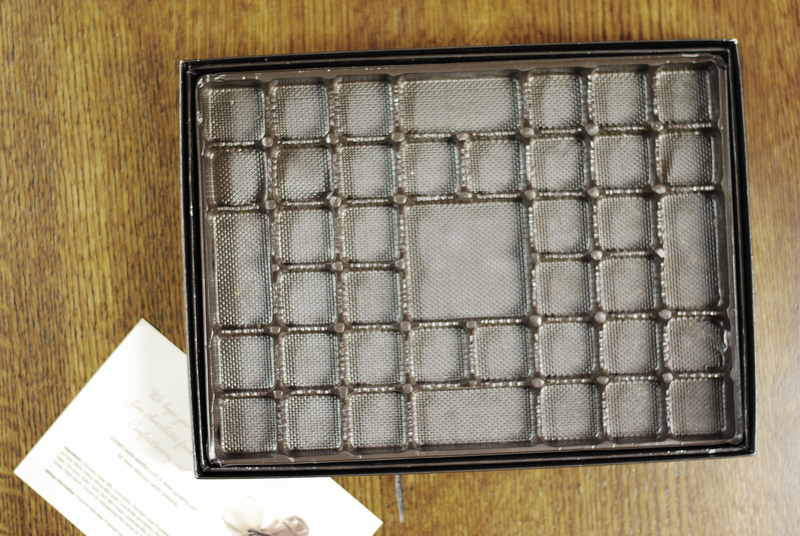 I used it on a recent trip with my iPad and loved using it to write this column. It has Apple friendly keys for features such as copy, paste, shift and undo. Most of those features are almost impossible to access on the touch screens keyboard. It also includes function keys for up and down with arrow keys along with volume and music controls. While I tested it out strictly on Apple devices, Verbatim states that the keyboard is supported with Android tablet devices with HID keyboard support. It’s Bluetooth technology lets you pair it with up to six devices simultaneously and comes with a carrying case. Also included for iPhone users is a stand, which folds into the keyboard itself when not in use. The stand will keep the phone in a front-center position for easy viewing while typing. 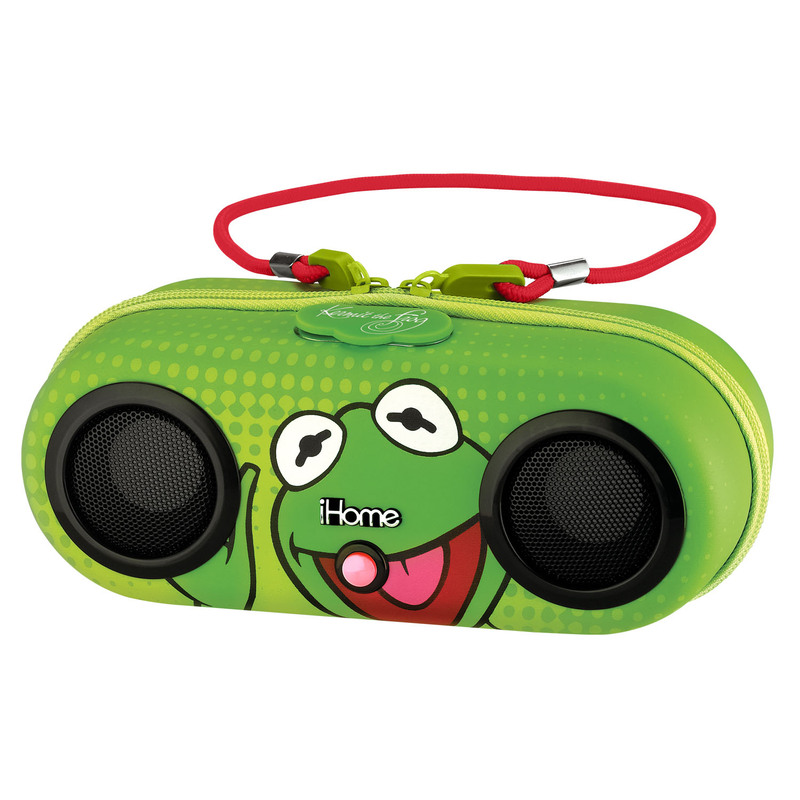 Disney has combined with iHome, the leader in portable audio docking stereo systems, to introduce the DK M13 portable home speaker. The player has great sound, which is pretty significant but only one of its many great features. I could start with it being lightweight and end with it being waterproof, which adds to an incredible amount of features packed into a Disney-themed sound system. The weatherproofing enables any iPod or other portable MP3 player to be zippered shut securely in the sound system, which also has a clear window to give you access to the touch screen controls. Contact Gregg Ellman at greggellman@mac.com. 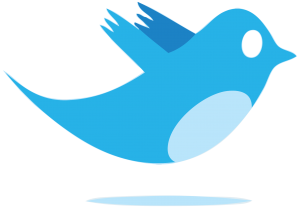 Follow him on Twitter: @greggellman. 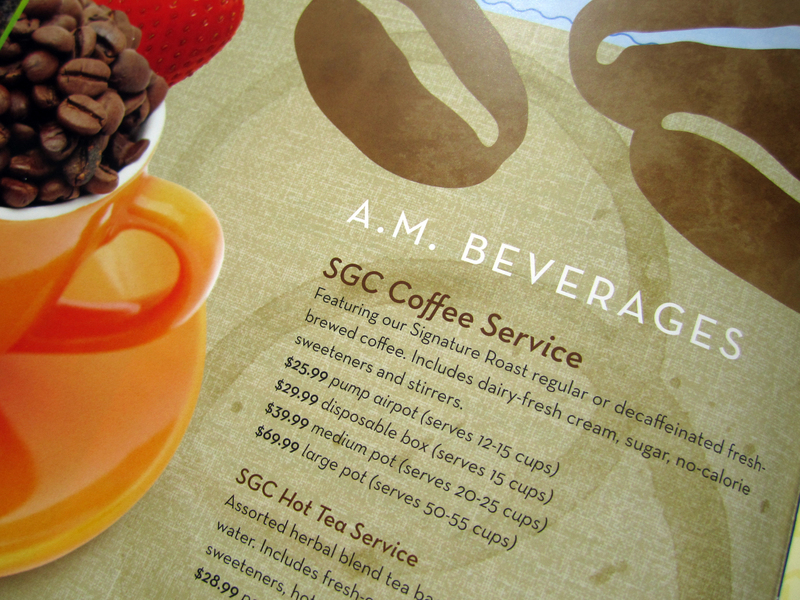 Often a menu is nothing more than the price and description of a dish; perhaps some calligraphy is thrown in along with a picture or two. Hinge Marketing of Reston, Virginia has designed a menu that gives you hunger pains. The firm captures the food in tantalizing detail with eye-popping graphic garnishes. If it were possible to gain weight by reading, this is the menu to do it.